We pretty much sit opening weekend. Monday thru Wednesday everyone does their own thing. Wether it be hunting or have to work. Thursday nothing gets done with all the get togethers. Then Friday,Saturday and sometimes on Sunday we make our drives. I got a 6 pointer and my cousin got a four pointer opening day. Then my uncle had a oops deer on Friday in a drive. 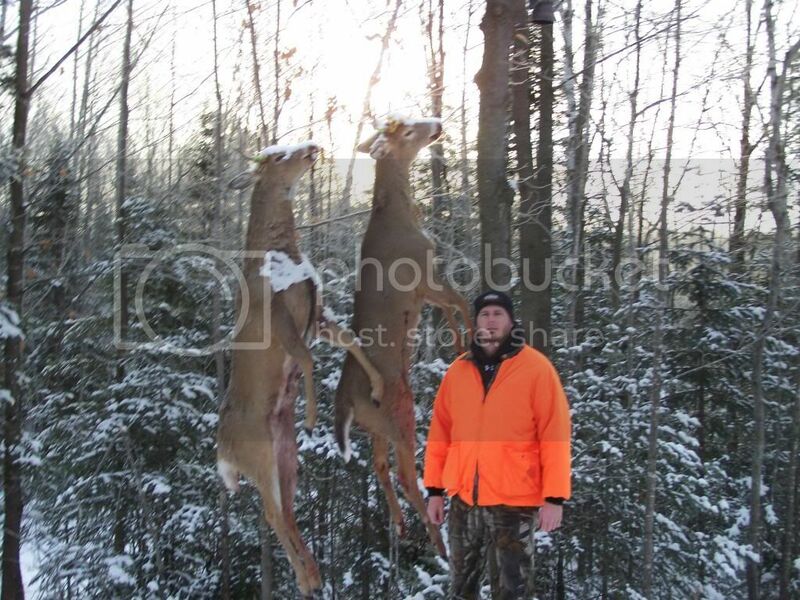 We had 3 doe tags. Then today we had alot of action. I shot a doe in a drive and my brother shot another doe on the same drive but while posting in a field on a rock pile. So out of 8 guys we ended up with 5 deer. We could have shot more does today but we were out of tags. Overall a great fun season. Nice jeremy, my nephew and I went out for the last day of shotgun for us and saw 2 but they were in the thick stuff and only caught a glimse of them. Now we have bow from Dec 1st to Jan 1st, and black powder from Dec 6 to the 15th. Thanks Jamie. 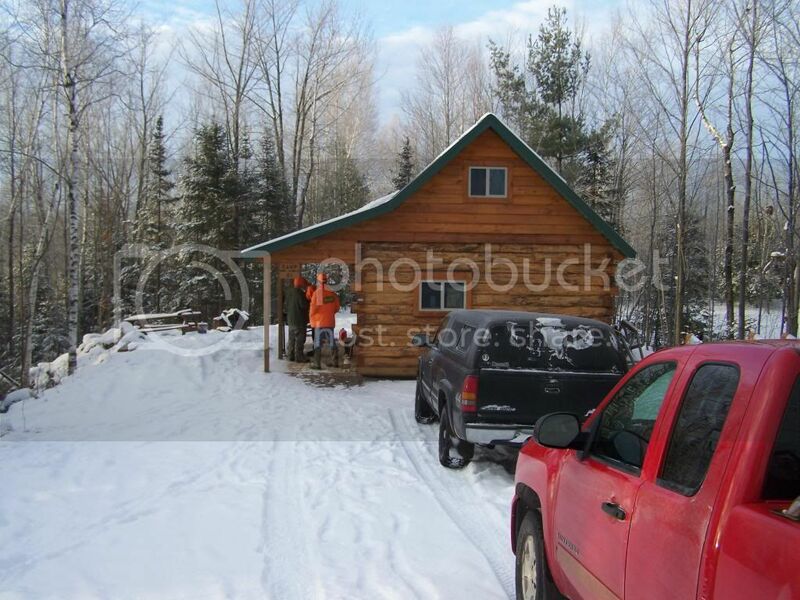 Also forgot to add we built our shack in 2011 by ourselves. From 2001 to 2011 we hung out in a school bus with a woodstove. We now have a 10 day muzzleloader starting on Monday. Our bow season also starts on Monday and goes into January. I will be doing alot of late season bow. 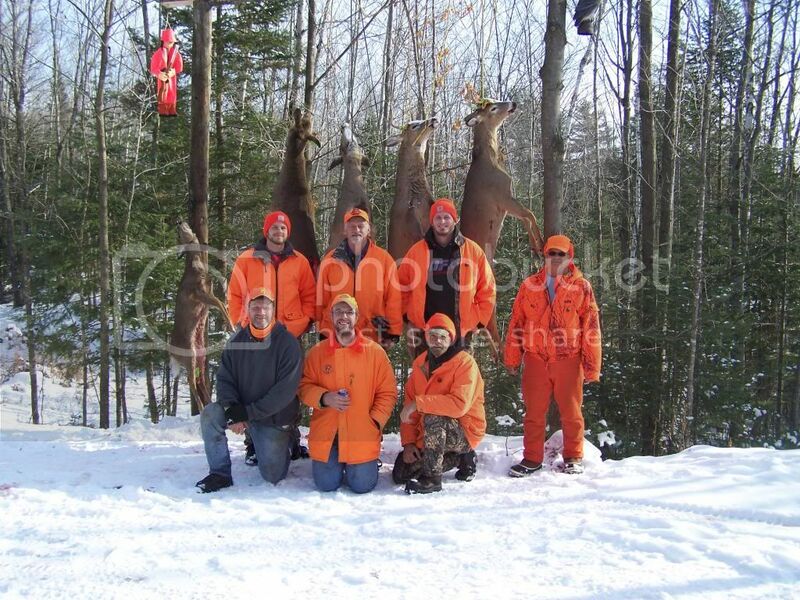 Last year I shot a doe New Year's Eve. Dang, only 9 days. Down here deer seasons runs from August to January. With rifle coming in 2 weeks after start of the season. Well that is our rifle season. We can hunt deer from mid September till like the first week in January. Well fawns are born around Memorial day here and I'm sure this one was late. And meat is meat especially when they are running wfo thru brush sometimes it is hard to tell. Where exactly is around here? You fail to put your location in. Looks like a sweet weekend red! Yeah we had 8-10" at one point......starting to melt now. Jamie we can use muzzleloaders from the 6th to the 22nd, we are in Zone 3. I hadn't looked up the zones yet with my nephew, are we in the same zone marc. That's a bummer rifles are cool. One of the guys in our group shot one about the size of a german shepard we gave him a lot of crap, they likely won't live through the winter anyway.